Step 1 Place the bluerberries, low carb sweetener, lemon juice and water in a saucepan. Step 2 Bring to the boil, cover and simmer for 10 minutes until the berries are softened. Step 3 Remove from the heat and add the chia seeds. Stir thoroughly. Step 4 Allow to cool and then transfer to a jar with a tight fitting lid. Step 5 Store in the fridge. 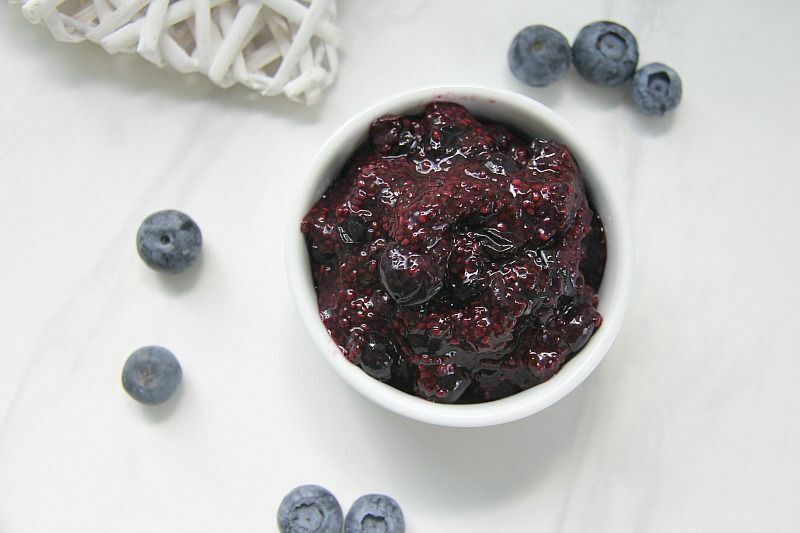 A blueberry chia jam that is quick to make and a healthier option. The chia seeds thicken to give almost a “jam” texture and the berry fruit being naturally sweet.